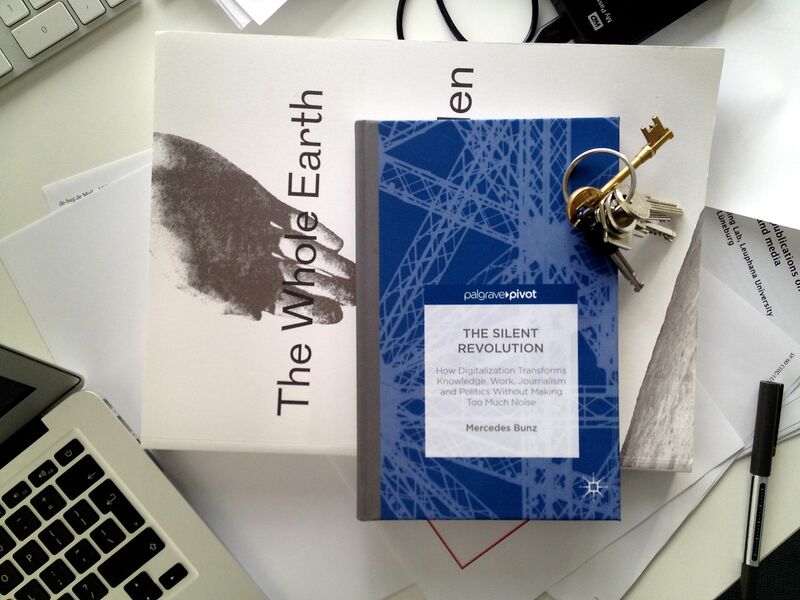 “The Silent Revolution: How Digitalization Transforms Knowledge, Work, Journalism and Politics without Making Too Much Noise” (Palgrave 2014) is out, and as we live in the age of information overload, this means the author of this book has to enter into phase two: after writing it, you need to take care that its content gets read. This book offers a critical analysis of contemporary debates around the issue of algorithms, software and code, giving rich examples to explain its impact on society and the potential ways forward for developing our understanding of these control technologies. As such the book is an important contribution to scholarly work on the digitalization of knowledge and the growing field of software studies. Does the rise of algorithmic knowledge retire the society of experts? In the age of perpetual updates, bodies and brains lie dormant when set against algorithmic architectures of control. Situating processes of digitalization in the world of work, Bunz’s The Silent Revolution brings a critical sobriety to the frequently esoteric discussions of computational culture. Bunz cogently argues that the power of human life is the power to judge, to decide and to invent new rules for the organization of algorithms. Writing the book is just the first thing you write when you’re an author. How can authors do marketing without coming across as self-regarding? How shall authors let people know about their book without sounding like a Narcissus? I am often not sure how to deal with all of this ‘publicly’. Should I just ignore the fact that our societies believed that self praise isn’t a recommendation, and retweet something every time the book gets mentioned? I asked Wendy Chun about it last week, and her advise was to retweet it with a ‘thanx’. One thing I really have learned: after writing the book, there is another phase, in which your obligation is to create attention which is better than marketing and more than boring self praise. Often not really easy, I must admit. I am not sure about the narcistic aspect … What tears apart should rather be a conflict between message and commerce/career, aint so?